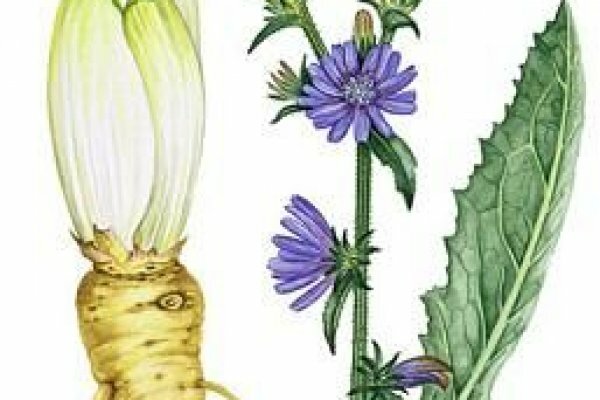 Chicory Root - Cichorium intybus. 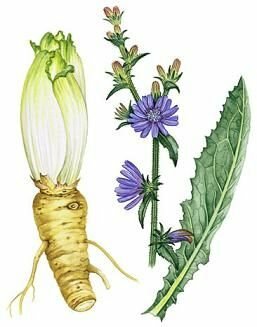 Chicory is the long, thin taproot of a perennial plant closely related to endive. Native to Europe, it is naturalized throughout the U.S. It can be eaten fresh as a vegetable, and dried it makes a satisfying tea.